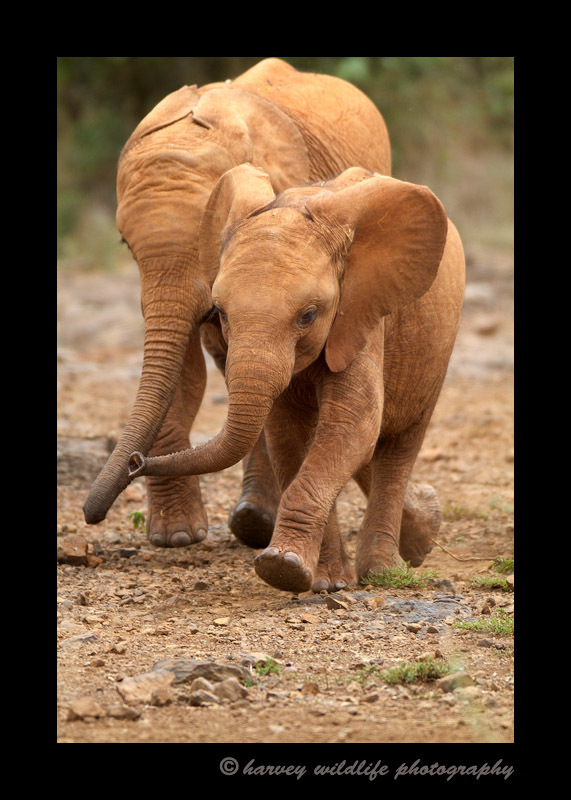 These baby ellies are orphans living at the Daphne Shedrick Elephant Sanctuary. They heard the dinner bell. Knowing their noon bottle of milk is ready, they waste no time to claim their lunch.